See more on Rosenfeld’s website. I am a landscape artist based on Martha’s Vineyard and Los Angeles. I first came to the Island as an infant with my parents and grandparents. Initially a perennial summer resident I am now a resident of the Island. My work is particularly attuned to sites where land, water, and sky all meet. In the paintings, nature is primarily placid, almost welcoming. 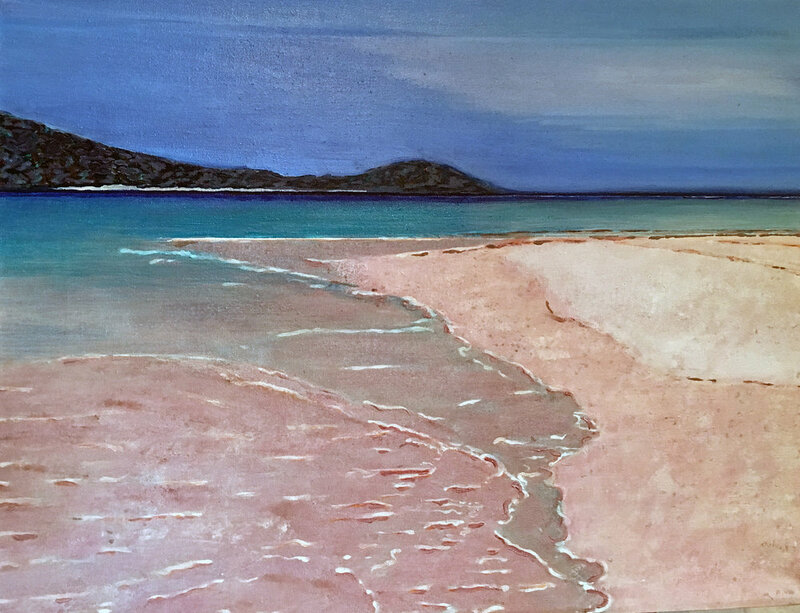 I try to capture the shifting ripples on the water and the delicate drift of colors; a painter who explores color relationships in all of my artwork. I work in acrylic on linen paintings and serigraph prints. My art has been featured in major exhibitions and galleries around the country and hang in several private and corporate collections worldwide. My goal is to share the essence of each place by exploring these landscapes between canvas and audience, evoking a sense of wonder that comes from a sustained and devoted rapport.